We ship all our wholesale greeting cards from Chicago, Illinois. Free shipping applies to ground delivery orders within the continental United States only. 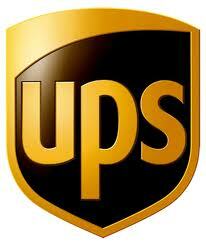 We can ship to virtually any address in the world, provided you give us a street address. Sorry, we cannot ship to PO boxes. Logistics companies require a street address for all deliveries. Please note that the shipping rates for all items we sell are distance and weight-based. To reflect the policies of the shipping companies we use, all weights will be rounded up to the next full pound. We accept orders of any size. Free freight is available with an order of $99 within the Continental United States. Shipping charges apply to all orders to Alaska, Hawaii and Puerto Rico. For INTERNATIONAL orders, TOTAL LANDED COSTS will be calculated in the customer’s home currency upon checkout, and customers have the option to prepay duties and taxes. All orders are shipped UPS Worldwide Expedited, Saver or Express.